Regulatory, Development and Commercial Expertise for the China Market. Navigating China’s dynamic development and commercial environment takes an experienced team you can trust. While Chinese reforms are making the market in China more accessible to global pharmaceutical companies, there are hurdles that need to be overcome to navigate this dynamic regulatory and market access landscape. 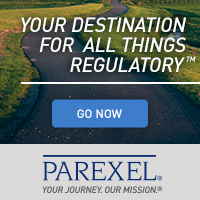 PAREXEL have created a new advisory service to help companies outside of China who are looking to take their products to the China market. Our new China Advisory Service provides regulatory, development and commercial expertise that will help companies understand how they can evaluate their opportunity in China, become a Marketing Authorization Holder (MAH) in China, ensure compliance with NMPA, attain favorable formulary status and pricing, and grow sales rapidly. Working together, we can help you plan earlier to extract greater value from your clinical trial data, and convert end-to-end clinical development, and commercial expertise into actions that speed the delivery of your therapy to the patients who need them. Contact us today for a more detailed discussion of how we can optimize your opportunities in China.